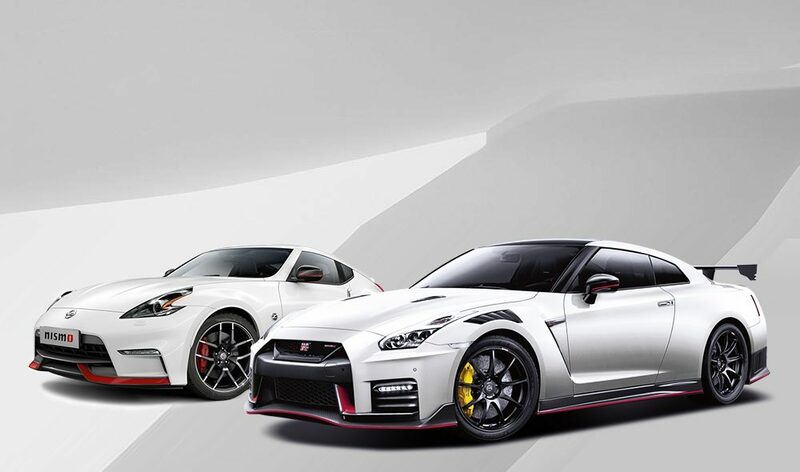 Dubai, UAE, November 16th, 2016: Arabian Automobiles Company, the flagship company of the AW Rostamani Group and the exclusive dealer for Nissan in Dubai, Sharjah and the Northern Emirates, has announced the arrival of the all-new and much-awaited GT-R 2017 across Arabian Automobiles showrooms. The all-new GT-R 2017 is optimised to provide an invigorating and heart-pounding driving experience for the UAE’s sports car enthusiasts. Nissan’s research and development has pushed the performance boundaries to new limits – attaining higher and more potent levels of driving power than ever before. Aerodynamic features work together with air flows to enhance the vehicle’s speed. The GT-R's rear façade extends out at the sides to accelerate air away from the back of the bumper, which also pulls hot gases away and cools the exhaust. The GT-R's side skirts prevent air flow from being drawn underneath the vehicle. The area around the C-Pillar has been refined to reduce turbulence, and to help accelerate air flow toward the rear of the body. The dark chrome ‘V-motion’ grille – with updated mesh pattern, one of Nissan’s latest design signatures – has been enlarged to allow more cooling air to circulate around key components, with a reshaped front façade redirecting air around the front wheel wells, reducing drag. These exterior changes result in a sportier and sharper looking car, which is also aerodynamically efficient with more stability at high speeds, while keeping a 0.26 drag coefficient. The cushion layer of the instrument panel leather has been updated with a new, thinner material to reduce weight, and the front seats are also lighter, thanks to a new side-support construction method that provides greater comfort and support on long drives. Carefully designed to reinforce and enhance stability during high-speed driving, the eye is drawn up from the hood and falls smoothly across the pronounced character lines that combine, form and function to create a stylish vehicle with a touch of bold elegance. A newly designed front spoiler lip and front bumpers with finishers situated immediately below the headlamps, give the new GT-R the look of a pure-bred race car, while generating high levels of front down force. The beltline between the lower black section and the body panel has been heightened to make the car look wider and more aggressive from the rear. The cabin’s fully redesigned, premium interior befits a high-performance super sports car. The entire dashboard is new, including an instrument panel wrapped in a single, seamless piece of hand-selected Nappa leather artfully stitched with Takumi-style precision. The dashboard’s shape adopts a ‘horizontal flow’ to deliver a sense of high stability for front seat occupants, while the line from the instrument cluster to the centre console provides a distinct driver-oriented environment. This powerful vehicle is a dynamo for those seeking performance and power. A 3.8-litre twin-turbo V-6 reaches a mighty 565HP, teaming up with a six-speed dual-clutch automatic and all-wheel drive to deliver an exhilarating ride. 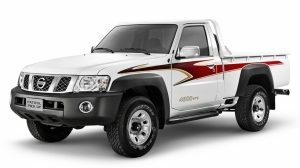 This strength combines with a supple vehicle to deliver quick steering, a rigid structure and adjustable suspension, ensuring that each and every journey is smooth and enjoyable. 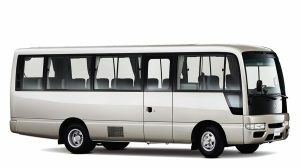 Drivers can rest assured that this capable vehicle does not compromise on safety. Its Nissan/Brembo braking system has four-wheel disc brakes, as well as 15.4’ front and 15.0’ rear two-piece floating-rotors, with diamond-pattern internal ventilation. The GTR 2017 is now available across Arabian Automobiles showrooms in Dubai, Sharjah and the Northern Emirates. Interested customers are invited to visit Arabian Automobiles’ local showroom, where they can see the all-new features for themselves and be provided with the opportunity for a test drive.